Whatever you do, don’t click that link! This post explains why. If you accidentally click ANY link in a SPAM message you should first deal with the email as explained above, then thoroughly scan your computer for malware by following the steps listed in this post. 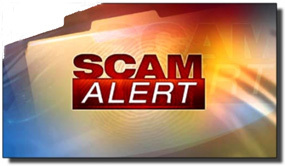 Bonus tip #1: Click here to read about several other scams that are currently making the rounds right now.